It's remarkable how one man can change the course of history. However, when Aylesbury United coach, ​Steve Greenhalf suggested that Emmerson Orlando Boyce might want to try switching from playing striker to defender he set in motion a series of events that otherwise would not have conceivably taken place. 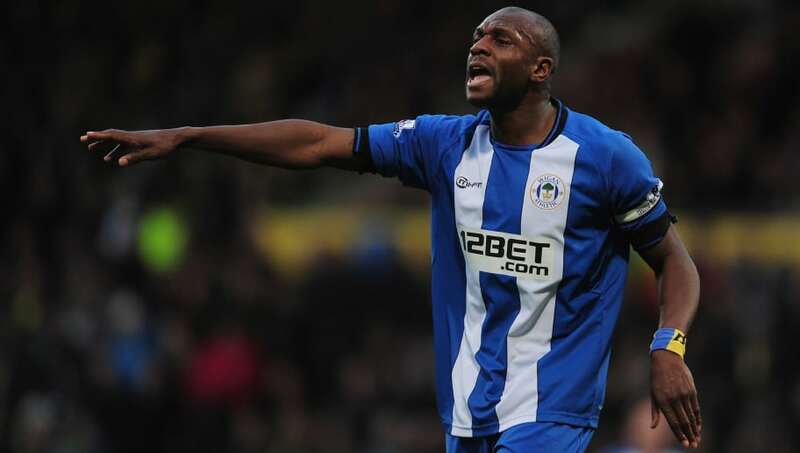 Wigan Athletic would be a million pounds better off, for one. Crystal Palace would have two less to add to their all-time goal tally. Barbados would have only beaten Aruba 4-1 in the 2014 Caribbean Cup qualifying campaign, rather than 3-1. The list goes on. ️ "The #PLKicks scheme has developed my confidence and I hope my story inspires other youngsters to work hard and achieve great things."  Oliver Carrick was named the club's #KicksHero at Saturday night's Charity Ball at the @DWStadium. It wasn't long then before 'The Boyce of Reason' was wanted anew, this time by Paul Jewell's Wigan Athletic, and in the gruelling position of having to replace the outgoing ​Pascal Chimbonda. Nevertheless, Boyce - now a fully capped Barbados international - didn't back down from the challenge of filling such a club legend's boots, and instead picked up exactly where the Frenchman had left off by losing 2-1 on his debut to ​Newcastle United. However, Jewell was quick to wax lyrical about his new defender, claiming that he would "fit in well" with recent arrivals Denny Landzaat, Fitz Hall and Tomasz Cywka.